These exercise are to encourage you to practice the techniques covered and are NOT for critique. Do as many as you like- it is entirely up to you! You do not have to send these back to me, but may do so if you wish. Spend 30 minutes doing quick gesture drawings of a plant. Daffodils or snowdrops are ideal, but any plant with leaves and flowers will work. Find nine small things that can fit into the palm of your hand. 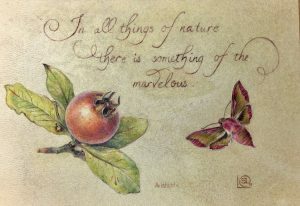 They can be the same type of object, or all types of the same object, or even a random collection of things found on a walk. They don’t even have to all be botanical (e.g. feathers and shells). Draw them in your sketchbook as line drawings, concentrating on only on the shape and basic features (no tones or colour). 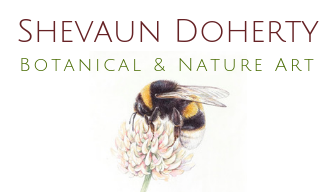 Play around with the arrangement to create an interesting design on the page – it could be an organic scattering or a geometrically-inspired arrangement. 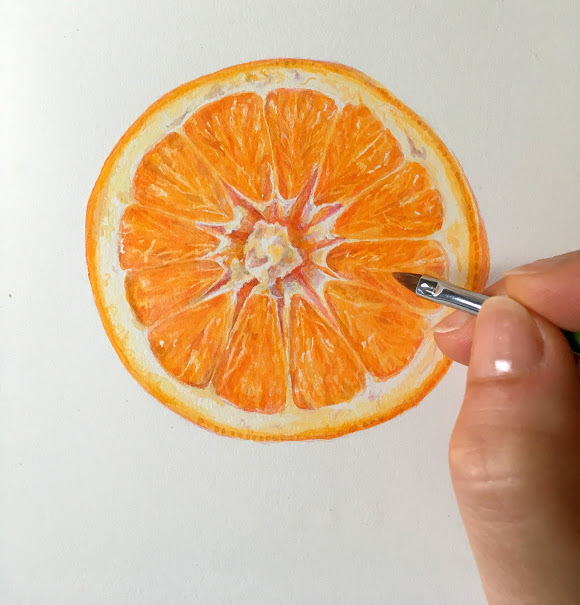 Practice your control of line in pencil and in paint. Do a series of curving lines that lie close to each other. This can be done in pencil, pen or in paint. Do a series of short lines getting thinner and finer until they are a fine as the hairs on a poppy. Yes, that thin! Fill the page. 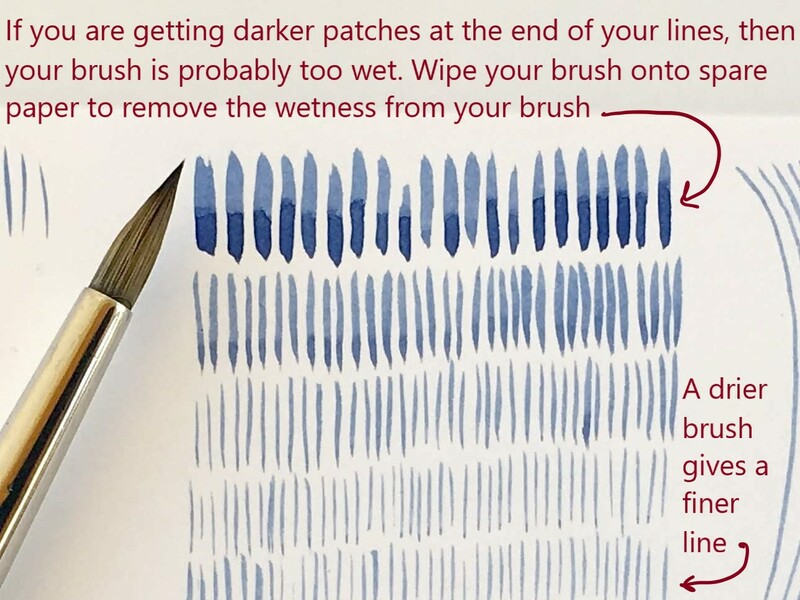 Take a Size 6 round brush and make a wash of Indanthrene blue in your palette. Don’t add too much water or the colour will be too dilute. Onto a sheet of watercolour paper, paint a series of short vertical lines in a row. The aim is to paint them as thin as possible. If you go straight from palette to watercolour paper, it is very difficult to paint thin lines. You get vertical blobs rather than hairs. Try it again, but this time wipe the brush several times on the ‘squiggle sheet’ to remove the wetness from the brush before you paint the vertical lines. Keep painting the lines, wiping the brush again on the ‘squiggle sheet’ if you feel that the paint is too wet. With practice your lines become finer, and you begin to understand just how much water should be on the brush to draw very fine lines with your paint brush. Write your favourite quote in a calligraphic font with a paintbrush! Use an online font generator to help design the text. 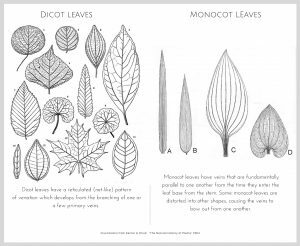 Select a monocot leaf (e.g. daffodil, hosta, iris, grass, onion etc.) and draw a simple line drawing showing the leaf veins in pencil or ink. 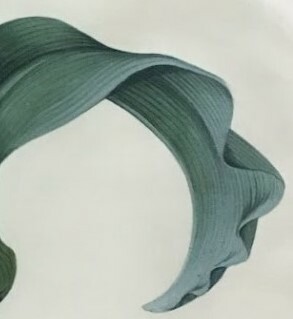 Note: the veins in monocots are usually drawn as a single line. Select a dicot leaf (e.g. hydrangea, ivy, lettuce, cherry, roses etc.) where the veins can be seen clearly. Draw a simple line drawing of a leaf that shows the venation pattern. Practice looking at the shapes between the veins rather than focusing on the veins themselves. Are you fluent in Line? Practice your ability to ‘read line’ by looking at work by past masters or artist that you admire. Consider the quality of the lines and how these lines have have been used in composition. 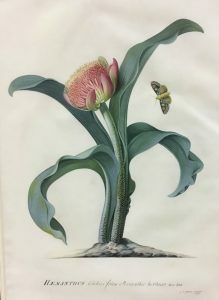 Look at the following paintings by Georg Dionysius Ehret 1708-1770 (one of my favourite artists) and identify the types of lines used within the work. There is a fundamental error in the first painting, proving that even great masters get it wrong at times. Can you spot it? I will give the answer in the second Module. 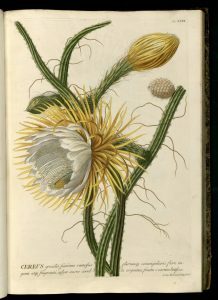 Selenicereus grandiflorus (The Queen of the Night – a night blooming cactus) by Georg Ehret.